We started this process 21 days ago. The recipe called for apple peels, cores and water. Alva and I peeled and cored a bag of apples. We shared the apple with chickens, pigs and the 2 ducks. I have tried to remember to stir the concoction every day but know I missed a few along the way. In this old farm house the temperature range has likely varied more than the 65-70 degree range suggested. But after just 21 days this bowl has the whole kitchen smelling like vinegar! Success! This apple cider vinegar will be mixed equal parts with black strap molasses and drizzled on every animal's food it the course of several days. All of our livestock loves the mix. All the benefits of vinegar with the delicious minerals and nutrients of the black strap molasses. These chicks are 5 days old in this picture and they survived the 12-16 degree nights of the past weekend. When the weather is super cold we utilize an Ohio style brooder it really cuts the cold out. Add a cardboard "skirt" around the entire thing and the chicks can decide where they want to be. 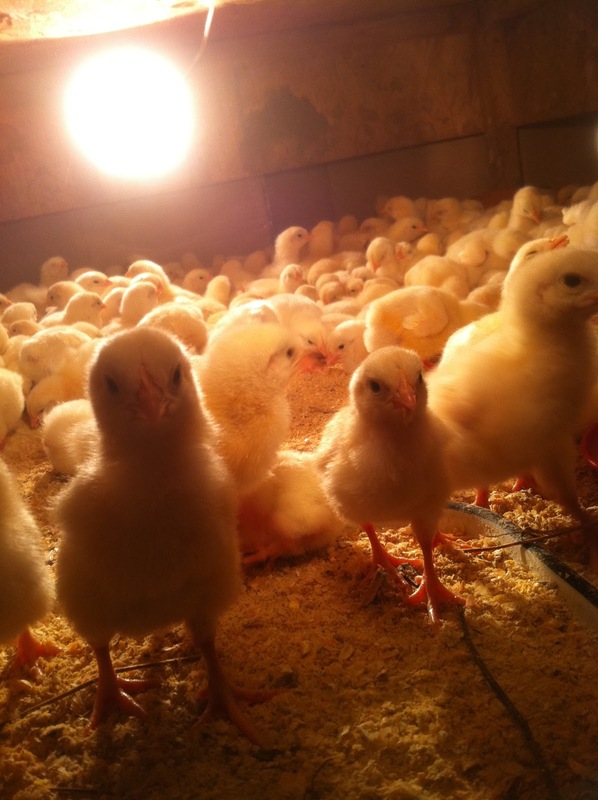 It is just like the summertime under the brooder and more like spring out and about. Everybody loves options! Ingrid and Prussia do not mind the cold. They are happy to stay in bed late!